Fitness centers, gyms, and club houses find door access control at pools to be an asset to the areas. The rooms are secured from those without access and members that have access can easily use the facilities with a fingerprint or card. Residents with pool area access find unauthorized users can be a risk to their security and comfort. Using access control on pool gates restricts who has access without jeopardizing valuable time of staff and residents. Access can be restricted to certain days and times. 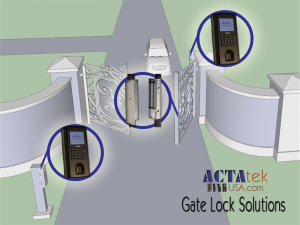 One of the most popular uses for access control is to secure club houses. Management can restrict or enhance members access anytime to the club house after hours for rented parties on certain days and times. Residents would not need a manger to be present to set up for an event. 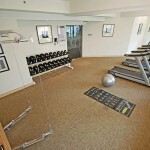 Fitness centers, gyms, and club houses find door access control to be an asset to the areas. The rooms are secured from those without access and members that have access can easily use the facilities with a fingerprint or card. Residents with pool area access find unauthorized users can be a risk to their security and comfort. Using access control on pool gates restricts who has access without jeopardizing valuable time of staff and residents. Access can be restricted to certain days and times. One of the most popular uses for access control is to secure club houses. Management can restrict or enhance members access anytime to the club house after hours for rented parties on certain days and times. Residents would not need a manger to be present to set up for an event. Applications for access control can go way beyond tracking users time and attendance . These superior door devices provide the ability to control when certain people have access to a facility without needing a person there to check their membership status. They not only automatically keep a log of all successful entrances through a door or gate but they also log any invalid attempts. A manager or security office can see exactly when a person was trying to illegally enter a property. These state-of-the art products can be fitted with build-in cameras that can take snap shots of the person trying to gain unauthorized entry. All of these advanced features make the ACTAtek an ideal security solution for pools, gyms and club houses! INTRODUCING OUR NEWEST ADDITION: The BioRemote 333!! !